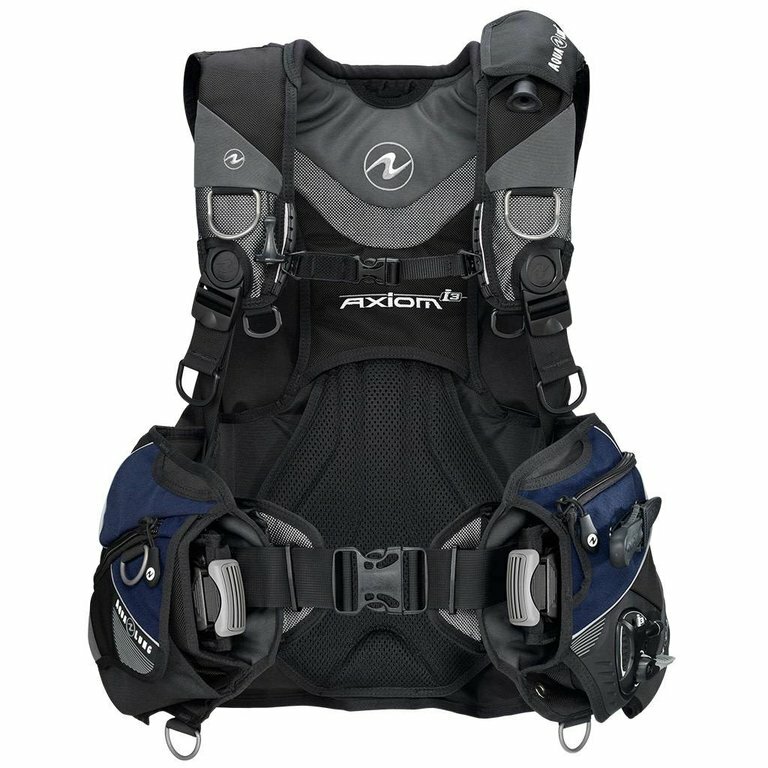 A jacket-style BCD, the Axiom i3 features Aqua Lung’s patented i3 inflation/deflation system. . 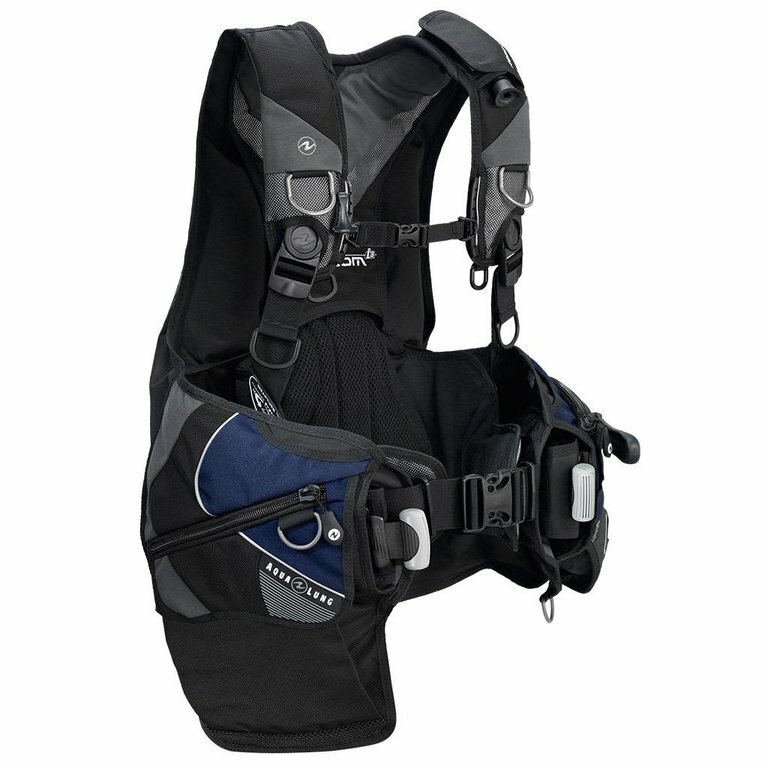 It features the Aqua Lung’s Wrapture™ harness, the most comfortable harness ever made. 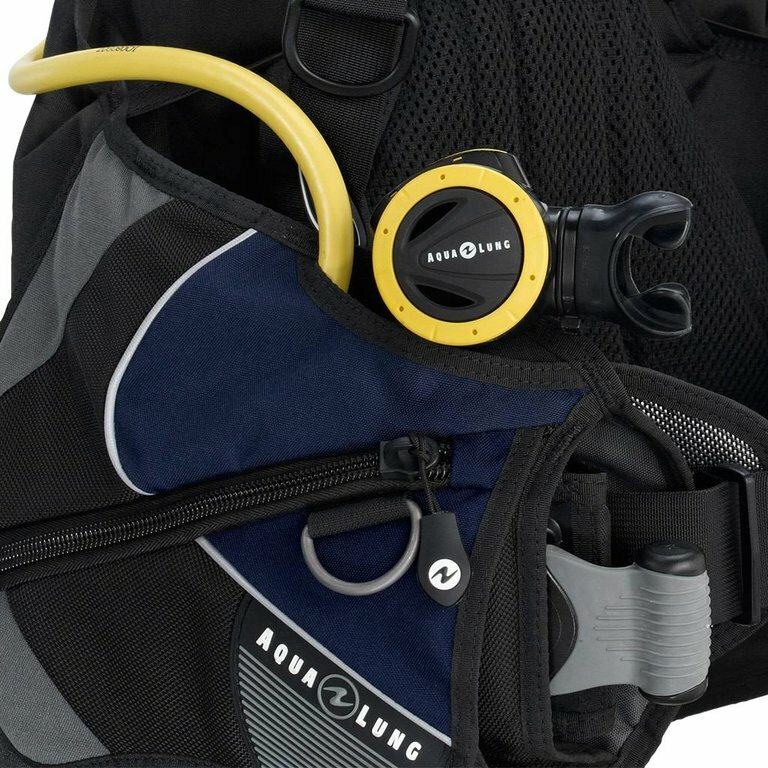 The GripLock™ Tank Band is an all-new system, designed for maximum security both in and out of water. 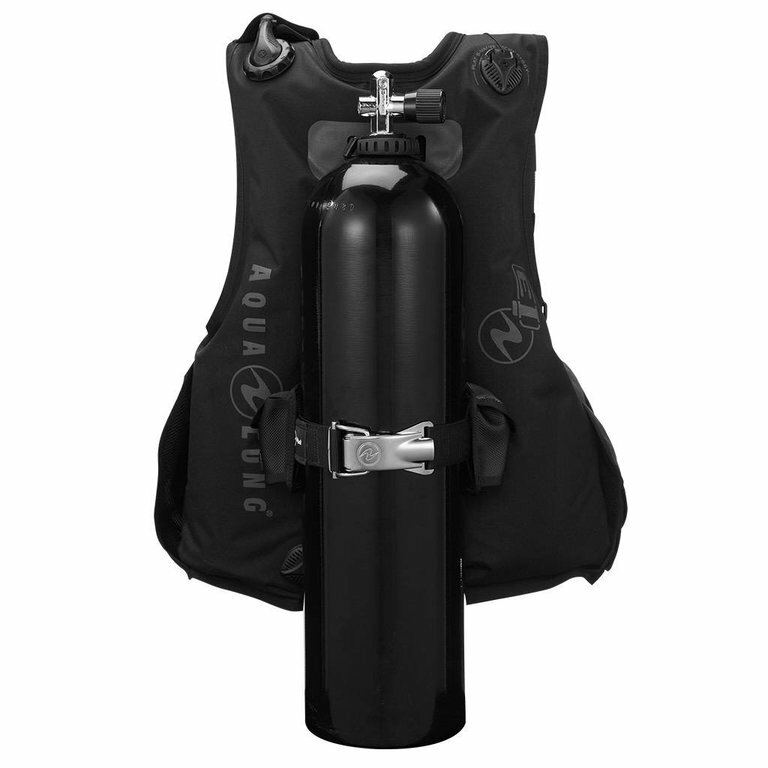 Attaching a cylinder to a BCD can be difficult and even unsafe. 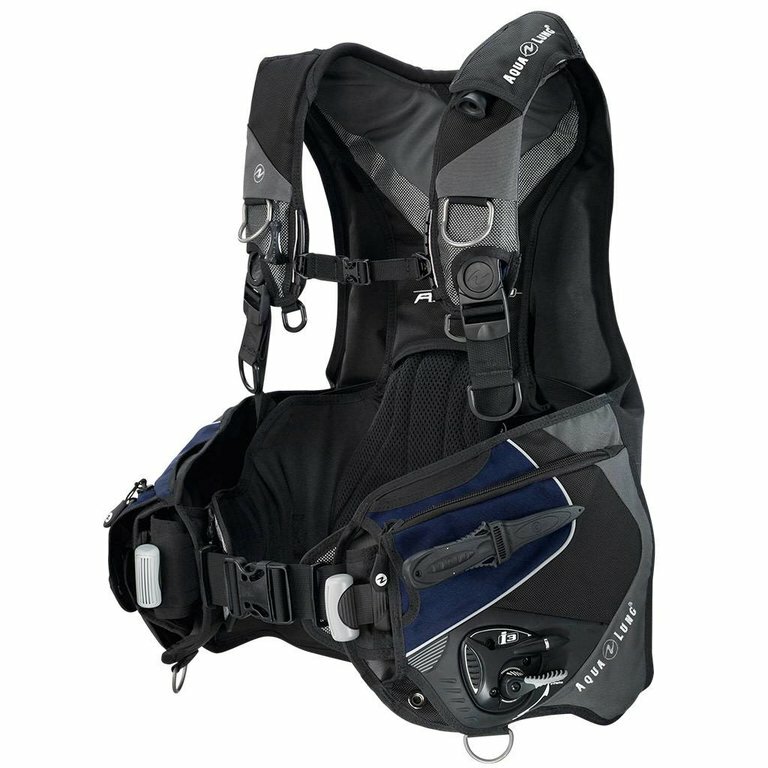 GripLock makes it easier to make a strong attachment between the cylinder and your BCD. 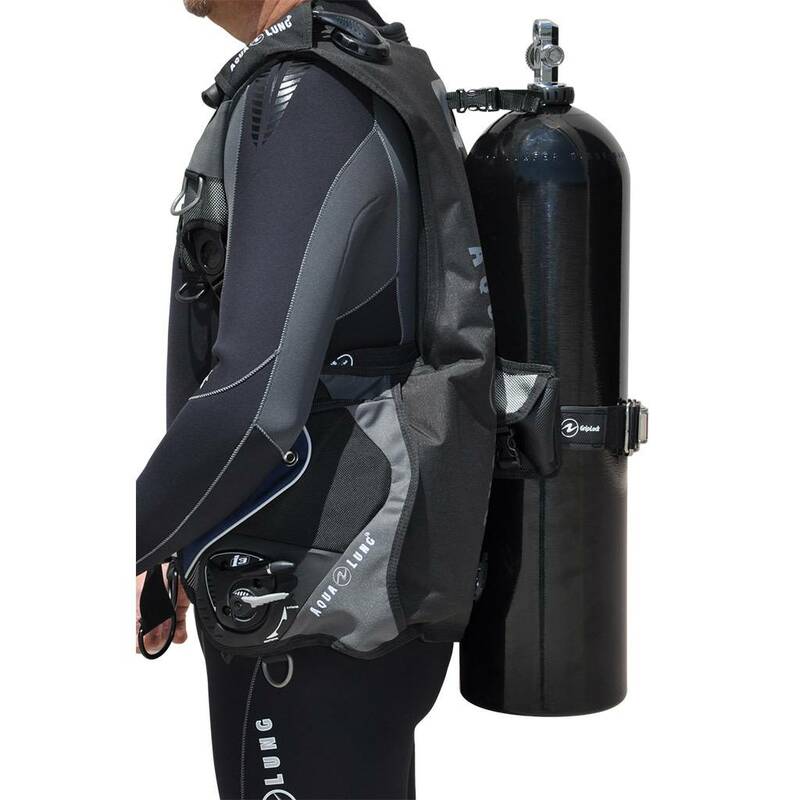 There are no adjustments necessary when switching cylinders of the same diameter, and you won’t have to worry about pinching your fingers!